Do you have a medical injury or were you hurt by a doctor? Contact Lebovitz Law Group to discuss your medical malpractice case in the Phoenix Valley or statewide in Arizona. Have you been injured by a doctor, a hospital or other medical personnel or health care provider? You don’t have to suffer through your injuries without compensation, and your first stop, after obtaining any additional medical treatment you need, should be a Phoenix medical malpractice attorney. 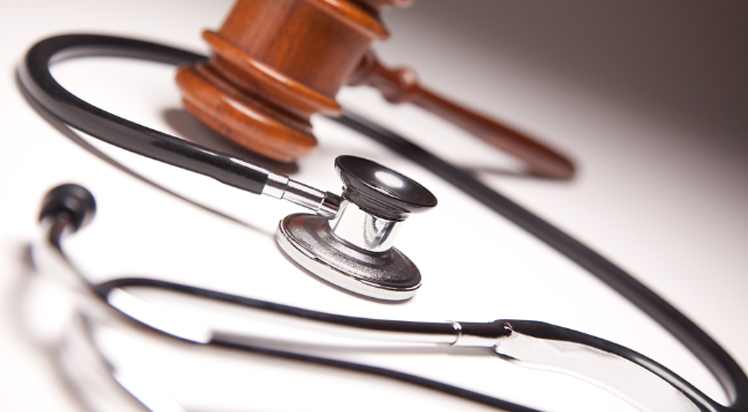 Medical malpractice cases are some of the most fiercely fought pieces of litigation. This is the result, in part, of the fact that the reputation of a doctor or hospital may be at stake. Even if the doctor’s insurance carrier is going to foot the bill for any damages, the doctor may feel that a verdict in favor of one his or her former patients, indicating that the doctor committed malpractice, may well have an adverse effect upon the doctor’s medical practice and his or her ability to attract new patients or to keep existing patients. This does not mean that all, or even most, medical malpractice cases have to be fought tooth and nail to the bitter end, including a jury trial. The right plaintiff’s medical malpractice lawyer can turn the doctor’s fears regarding his or her future practice into an advantage. By developing a strong case, so strong that the doctor (with the help and prodding of his/her defense attorney) will realize that the chances of an adverse jury verdict are sufficient that the doctor risks additional bad publicity if the case does not settle prior to trial. In much the same way, your attorney should do everything within his/her power to demonstrate to the insurance company that a fair settlement avoids the risks of placing the matter in the hands of the jury. Of course, some cases will go to trial, and because of this, it is important to retain the services of an experienced trial lawyer when you make a claim for medical malpractice. As a general rule, these are negligence cases. But the determination of negligence is somewhat different in the case of professionals, such as doctors. What you will be attempting to show is that a competent doctor would not have acted in the way your doctor did; that is, your doctor deviated from the accepted standard of care in connection with your diagnosis or treatment. In addition, medical malpractice can be committed not only by doctors, but by nurses, clinics, clinicians, hospitals, psychologists, and others in the medical field. that the injury you suffered was proximately caused by the doctor’s breach of duty. Improper diagnosis. When you come to a doctor with a physical ailment or complaint, you rely on the expertise that you are entitled to expect from a physician holding a license to practice medicine. Failing to properly read an X-ray, missing abnormalities on a blood test, failing to perform tests that should have been performed, and that would have disclosed the problem, are just some of the specific examples that can lead to an improper diagnosis. Treatment mistakes. Again, the possibilities are endless when it comes to the specific mistakes physicians can make while you are under their care. The mistake could be in the manner in which the treatment is administered, or in the choice of which treatment should be applied in your case. Sometimes the mistake is more obvious and incredibly gross, such as operating on the wrong patient or on the wrong side of a patient’s body. Doctors have performed a coronary artery bypass graft on the wrong artery, provided a blood transfusion using the wrong blood type, improperly administered anesthesia, and the list could go on and on. Failure to advise you of a known risk. When a physician advises you as to treatment options, he or she has an obligation to inform you of known risks associated with each of those options. The American Medical Association has guidelines to ensure that patients not only give consent, but give informed consent. This includes the risks and benefits of proposed treatment, alternative treatments, and foregoing treatment. Failure to advise you of these risks and benefits could support a claim for medical malpractice. Like most personal injury litigation, compensatory damages in a medical malpractice case can include out of pocket expenses, lost wages, medical bills (including future medical expenses), lost earning capacity, as well as pain and suffering, loss of consortium, and loss of enjoyment of life. The damage award is designed to make you whole, and can include damages that are considered economic in nature, as well as those that are considered non-economic. Economic damages are items such as medical expenses and other out of pocket losses, as well as lost wages and a reduced ability to earn wages in the future. Non-economic damages are more difficult to quantify, and could include pain, mental suffering, the effects of some sort of scarring or disfigurement or other adverse effect on your appearance, the effects on your family and relationships, and the ability to enjoy life’s activities the way you did before your injuries. In some cases, where the conduct of the defendant is particularly egregious, punitive damages may be also be allowable. These are damages assessed not to compensate you, but rather to punish the person (doctor, etc.) whose conduct is at issue. Clearly, there is much knowledge and expertise required to properly handle a medical malpractice case. While it may appear in some situations that the liability issue is simple, things are often not as they seem. As the case proceeds, you may discover that in fact there are complicated medical issues involved in your case. So choose the right lawyer from the start to represent you in connection with your claim against a hospital, doctor, or other health care provider. In addition to knowledge of the law, you need an attorney who will fight for your rights, and who has the drive and experience to take your case to trial if the defendant refuses to place a reasonable settlement offer on the table. Remember, there are time periods within which you must bring your claim, and failure to do so could lead you to lose whatever rights you have to seek damages. So contact our office today and schedule a free consultation.